Former President of the Republic of Trinidad and Tobago. 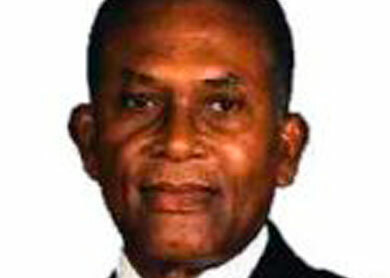 Arthur Robinson was President of the Republic of Trinidad and Tobago between 1997 and 2003. He also served as Prime Minister from 1986 to 1991 and spent more than 45 years serving in ministerial posts and in Parliament. Robinson developed a keen interest in international law and human rights while studying law at London and Oxford Universities. He went on to focus on international law during his career and was a member of the UN Expert Group on Crime and the Abuse of Power, as well as playing a key role in the creation of the International Criminal Court (ICC). Robinson was named Honorary Vice President of the International Association of Penal Law. He received the Parliamentarians for Global Action Defender of Democracy Award, the Order of the Caribbean Community and was nominated for the Nobel Peace Prize. In 2002 he was honoured with the Peace Leadership Award from the Nuclear Age Peace Foundation.